Varun Dhawan to replace Rajkummar Rao in Stree 2? Earlier, Rajkummar Rao and Shraddha Kapoor starrer horror comedy Stree has been loved so much by the viewers that its makers decided to make a sequel of the movie titled Stree 2. 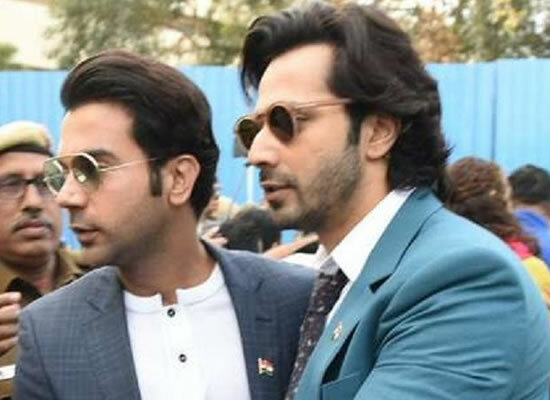 Now, as per reports, the lead actor Rajkummar Rao who essayed the role of the ladies tailor Vicky in the movie, might be replaced by Varun Dhawan in the forthcoming sequel. According buzz, Varun has been meeting up the makers of the movie to let him come on board for the particular role in Stree 2. But, the makers are still in a quandary as they are in good terms with actor Rajkummar Rao too. But, if Rajkummar is being replaced by Varun in the movie, it will be a major setback for him. The actor has been highly appreciated for his role in Stree along with the other actors including Shraddha Kapoor, Aparshakti Khurrana, Pankaj Tripathi, Flora Saini and Abhishek Banerjee.